Not a single worthy trait among you. . .
That got old pretty fast! We got heroic Zek'voz down 10/7/2018! Excellent job to our raiding crew, looking forward to the rest of Uldir together! 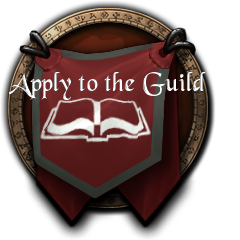 With that, if you're reading this and new to the guild or interested, feel free to apply and join up with our shenanigans and fellowship. The raids are a blast, and the community is excellent. You will not regret joining up with us!